The 2018 revised Laserworld Diode Series units come with diode-only laser sources ("Pure Diode") and thus have great beam specifications with beautiful analog color modulation. The DS-5500B units can be controlled over ILDA and have a bult-in memory with preset patterns, that can be easily triggered through DMX. They can also be operated in automatic and sound-to-light mode. This laser projector provides a master-slave-mode. Show lasers of the same series (slave projectors), connected via DMX to a main projector (master projector) project the same patterns like the master projector. 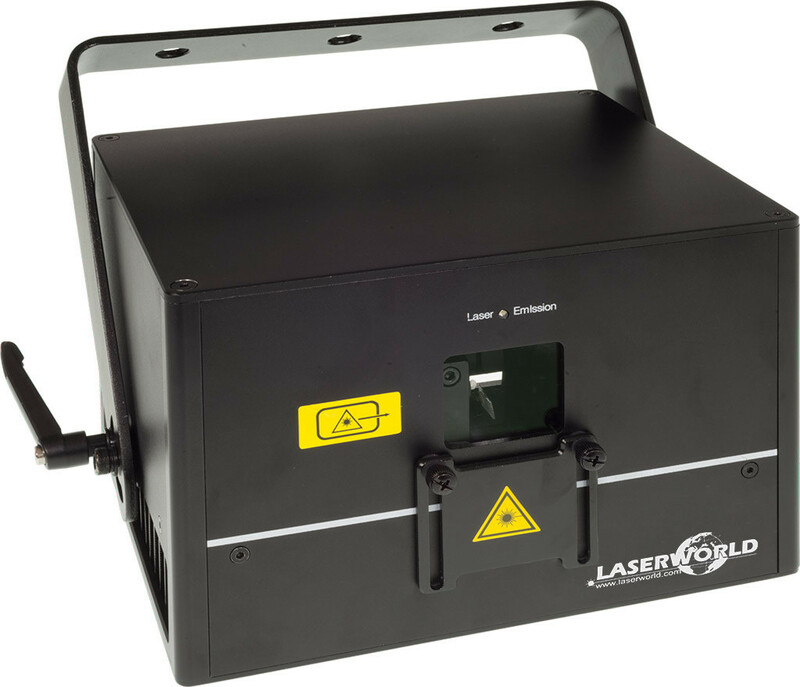 The Laserworld DS-5500B comes with blue diodes at 450 nm (5&apos;500 mW). Beam specifications are at great 5 mm / 1.3 mrad full angle and scanning can go as fast as 30 kpps@8°, whereas the scanners can scan a maximum angle of 45°.